With the constantly advanced 3D technology, the exponential growth in number of 3D capable cinemas and theatres worldwide and, the day-to-day upgrading of home 3D equipments, 3D movies are witnessing an unprecedented market expansion. Flashing back, it has been 90 years from the world’s 3D debut in 1922, The Power of Love, to the still in-full-swing Titanic in 3D. During these 9 decades, 3D development has been through too many ups and downs. It is now, people say that we are entering into a brand new chapter–a real 3D era is opening its welcoming arms. Exactly, 90 years accumulation finally burst into fabulous flowers. If the whole 3D industry is seen as a chain, any single progress in one sector will inevitably lead to the development in another, something very similar to the butterfly effect. That’s why we are seeing a blowout of 3D solution providers, targeting at backing up or converting 3D movies. 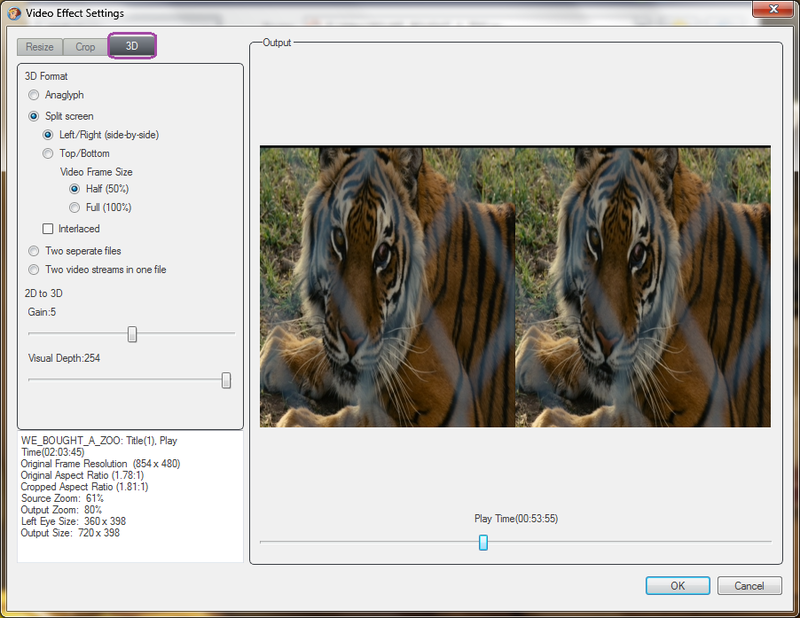 Among the quality varying software’s that are 3D capable, DVDFab is the most competent one. Aiming at to be the best of its kind in the world, DVDFab has input huge efforts on the 3D subject, and come out with many positive results, some of which even break the world bottleneck. Right below, our topic will switch onto the 3D solutions offered by DVDFab. Generally, 3D solutions provided by DVDFab fall into two categories: one, to 3D sources and, the other, to non-3D sources. To 3D sources: There are four flexible ways, evolving in two products, Blu-ray Copy and Blu-ray 3D Ripper, to backup 3D Blu-ray movies with DVDFab. 1. 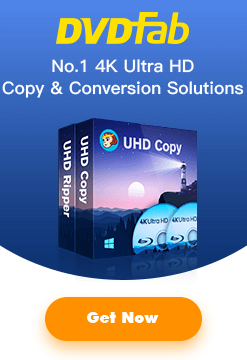 Blu-ray Copy Clone: This copy mode supports to make perfect 1:1 copy of the original 3D Blu-ray discs, no matter you want to burn to blank BD 50 disc or copy to computer hard disk drive as ISO file. 2. Blu-ray copy Full Disc: This copy option allows making identical clone of the original 3D Blu-ray’s as the way Clone mode does. Furthermore, it surprisingly has the capability to compress a BD 50 size 3D disc to blank BD 25 disc without losing the original 3D effect. Proudly to say, it is the world’s first solution to achieve doing this way. Meanwhile, users can also use this mode to convert the original 3D movie to SBS (Side by side) 3D format. 3. Blu-ray Copy Main Movie: With this copy mode, users are offered the options to convert the main movie title of a Blu-ray 3D movie to SBS 3D format, to BD 50, BD 25, BD 9 and BD 5 size. 4. 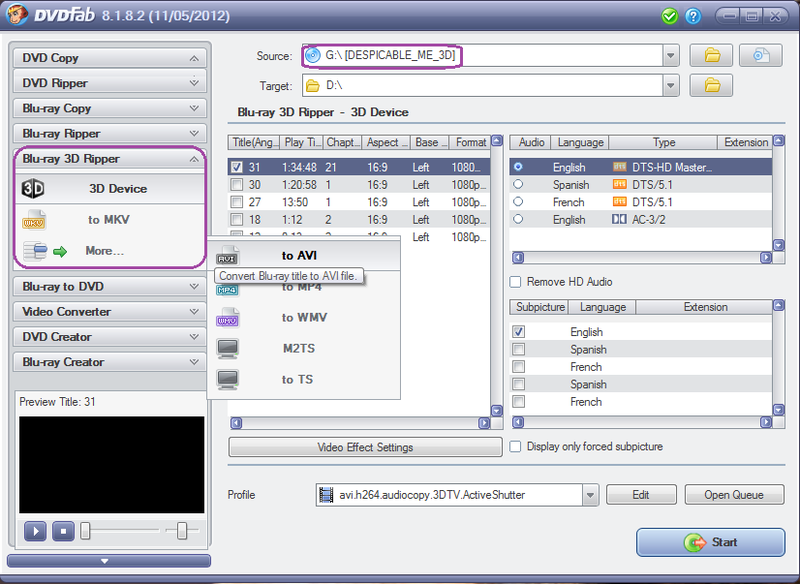 Blu-ray 3D Ripper: This 3D Blu-ray ripper software enables users to covert Blu-ray 3D movies to various 3D video files, such as MKV, AVI, MP4, and M2TS etc, or to a lot of 3D compatible devices, for example, all kinds of 3D TVs, 3D capable smart phones like HTC EVO or LG P920 etc. To non-3D sources: DVDFab has four products, 2D to 3D Converter, DVD Ripper, Blu-ray Ripper and Video Converter to deal with no-3D sources. In other words, no matter it is DVD-Video, Blu-ray video, or any other single video file, DVDFab also supports to convert them to four different amazing 3D formats, anaglyph, split screens (left/right or top/bottom), two separate video files and two video streams in one file. To be noted that DVDFab 2D to 3D Converter is not available as a single product, it is a built-in part integrated into DVD Ripper, Blu-ray Ripper and Video Converter. The World’s First Full Featured 2d to 3d Converter for Blu-ray and DVD—Why? Very useful post! I love DVDFab! Nice but i just want to be able to make a 3D l-r screenshot of a 3D blu ray !!! How come everything in copying,etc is possible except this simple by many requested feature ! Maybe make a simple 10 dollar “DVD-Fab 3D Screenshot” program for it ??? Thank you very much for your feedback ArnoBD, but currently DVDFab cant do this for you. Maybe in future, you will see this function in DVDFab Software.